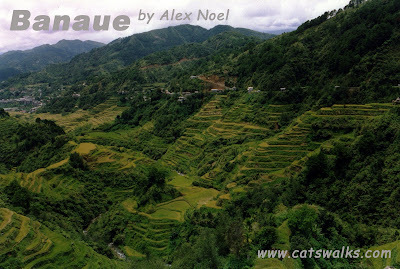 Carved by the Ifugao's 2000 years ago, the Banaue Rice Terraces is really a wonder to behold. Often called the "eight wonder of the world", the terraces have been carved largely using simple wooden tools. The Ifugao's simple equipment did not stop them from building a highly elaborate and sophisticated irrigation system. It is said that their length, if put end to end, would encircle half of the globe. Recently, the Terraces had been designated as a UNESCO World Heritage Site. Let's hope that helps. 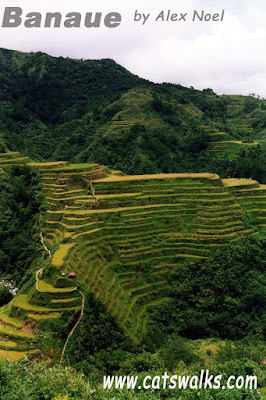 In Batad (about 1 hr tricycle ride and 3-4 hours hike from Banaue, depending on how fast you are), one can still see amphitheatre-shaped rice terraces that are unspoilt.